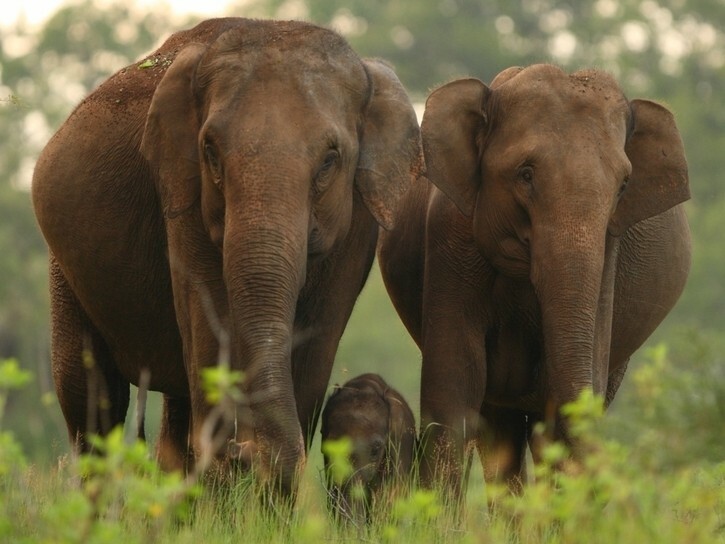 The wild population of Asian elephants is estimated to be between 37,000 – 48,000, of these it is estimated up to 3,000 live in the wilds of Thailand. Deforestation is a major threat to the Asian elephant, forcing elephants closer to human settlements causing another major threat – human-elephant conflict! One source said 20% of the worlds human population lives in or near the home range of Asian elephants. Almost 70 million people live in Thailand with 75% of these people living in rural areas, removing more and more forest as the population increases. Forest cover in Thailand fell dramatically by the late ’90s but after logging became illegal in 1989 the forest cover started to recover and the country currently has 37% cover, but this is compared to 75% cover in the early 1900s when there were over 100,000 wild elephants! Due to the many threats, elephants face it is now estimated that elephants could become extinct within 3 generations. Potentially sooner with the current ivory crisis. Spotting elephants in Asia is a lot more difficult than in Africa; population numbers are a lot fewer but Asian elephants tend to live in dense jungles rather than open savannahs and because of this elephant families are a lot smaller, generally consisting of 5-10 individuals compared to herds of 20 + in Africa. In Thailand the best time of year for wildlife watching is generally during the rainy season as this is when the forests are flourishing (rains typically last for a few hours at a time). The locations and duration of the rainy season varies from year to year throughout Thailand, it is advisable you check out the weather for where you are visiting before you go.